A new book in the “Dummies” series is “iPad Apps for Kids,” by Jinny Gudmundsen, $20 from Wiley.com. Here are a few of its recommendations for kids. All are free. “Toontastic” is the best app we tried. 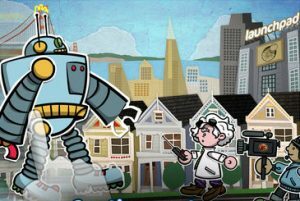 It walks you through the creation of an animated cartoon, adding movable characters to the scene you create. In the process, it teaches kids how to compose a story: the set-up, conflict, a challenge, a climax and finally a resolution to the drama. Monster Hunt – This is a good memory game for adults and kids.. Four great-looking monsters flash for an instant on a grid and disappear. You tap the squares where you think they were. Then it’s on to five monsters, six, etc. We got up to 10 before defeat. Let’s color gives you scenes to color. Clicking “go” makes them come alive, with stuff spraying out of an elephant’s trunk, trains chugging with passengers, and so on. 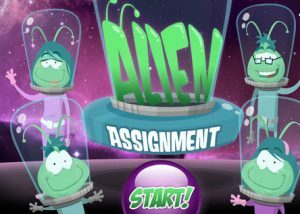 Alien Assignment for iPad 2 and up (or iPod Touch) requires a device with a camera. Children go on a scavenger hunt, taking pictures of the things they need, such as “something to clean with” or “something to use in the rain.” The story line is you’re helping an alien family who crash-landed on Earth.